Sierra Nevada Brewing released a secret throwback game on their website to promote the release of their new Oktoberfest beer, which is a collaboration with German brewery Brauhaus Riegele from Augsburg. Much like the father-son leadership of Ken and Brian Grossman at Sierra Nevada, Riegele is also owned by father-son team Dr. Sebastian and Sebastian (Jr.) Priller-Riegele. 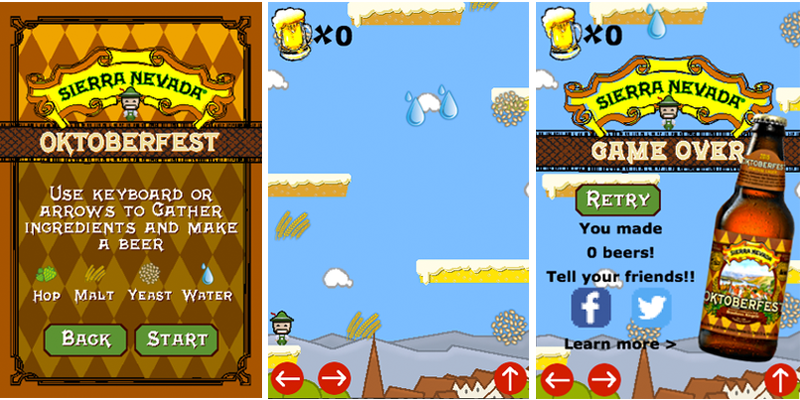 The game’s goal: help Kenny the Braumeister collect water, hops, barley and yeast so he can brew enough Oktoberfest beer to go around. 1) Click around the top navigation area until Kenny appears – then click on Kenny and get to brewing. 2) In the website footer, find the yellow ribbon that says “Locate Beers.” Type in"Prost" and hit enter.Using the keyboard arrows, help Kenny collect all of the ingredients to make his beer. In the spirit of friendly competition, players can share their final score on Facebook and Twitter. The collaborative seasonal release is available in 6-packs and 16oz draft Nationwide. 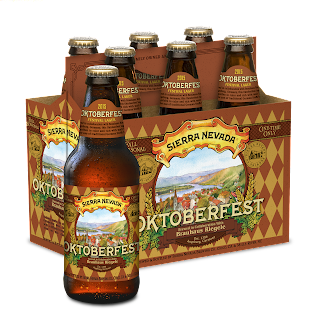 Founded in 1980, Sierra Nevada Brewing Co. is one of America’s premier craft breweries, highly regarded for using only the finest quality ingredients. The pioneering spirit that launched Sierra Nevada now spans both coasts with breweries in Chico, California and Mills River, North Carolina. Sierra Nevada has set the standard for craft brewers worldwide with innovations in the brewhouse as well as advances in sustainability. It is famous for its extensive line of beers including Pale Ale, Torpedo®, Hop Hunter® IPA, Nooner® Pilsner, Porter, Stout, Kellerweis® and a host of seasonal, specialty and limited release beers. Learn more at www.sierranevada.com.